Premises liability cases include many different types of accidents which occur due to the negligence of the owner or possessor of land or property. Landowners have a duty of care to maintain their property in a reasonably safe condition. Many times, this duty is not met resulting in injuries. Did you slip, fall or trip on the property or land of another person or business and become seriously injured? Dangerous conditions such unmarked wet floors, unsafe handrails, improper lighting, misplaced parking lot bumpers, staircases in disrepair, ripped carpeting, unlevel surfaces either indoors or out, and other hazards can lead to fall-down or “slip and fall” injuries. Premises Liability cases include other types of accidents, such as fires, explosions, accidental gunshot wounds, etc. Often times, people involved in a slip and fall-down accidents will be seriously injured. Your initial injuries could result into debilitating pain and suffering which can cause the loss of wages, loss of future wages, disability, expenses for the hospital, and could cause irritation to a prior injury. You deserve to be compensated for those losses. If you have been injured at the negligence of another on their property, whether that is a private residence, store, or other location, call Roman & Roman right away to begin protecting your rights. A delay in obtaining legal representation could impair your slip and fall accident attorney’s ability to obtain evidence, which can include inspecting the premises, collecting photographs, and interviewing witnesses. If you or someone you care about has suffered injuries as a direct result of an accident, it’s time to take action – and promptly, in order to ensure that your legal rights are covered. Visit a doctor experienced in the evaluation and treatment of slip and fall-down injuries so that you can begin the healing process as soon as possible. Don’t have a doctor? 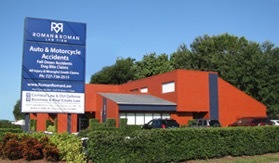 The Clearwater slip and fall attorneys at Roman & Roman will be able to help you find an expert – one that is conveniently located near your home or place of work. 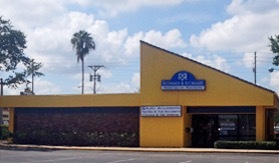 Instead of relying on the insurance adjuster, trust the advice of the Clearwater premises liability attorneys at Roman & Roman. It’s important for us to photograph your injuries as soon a possible to make sure evidence is secure. The site of the accident will also need to be inspected by a professional in the engineering or building inspection field. Be sure to keep possession of the shoes and clothing you wore at the time of the accident, and they may contain traces of the substance that could have caused the accident. The Clearwater slip and fall accident attorneys at Roman & Roman are experts when it comes to assisting with slip and fall accident cases. Our team can assist with everything – from the initial filing of an insurance claim, to helping protect your rights. If the insurance company is not willing to properly compensate you, we’ll go the next step and file a lawsuit. Worried about the cost? 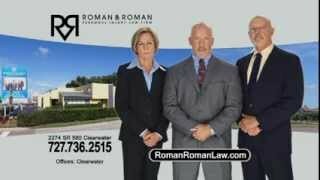 Speaking with a Clearwater premises liability attorney at Roman & Roman is free initially, and if there is no monetary recover in your case, you owe nothing. Please contact the team and schedule a free consultation. After your initial consultation, you’ll be meeting directly with one of the expert personal injury attorneys – not an investigator, case manager, or paralegal. 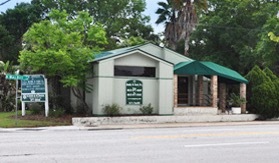 We also handle criminal defense and business and real estate law. Contact us today.